We have a very important announcement for all who send push notifications to iOS devices. Due to the changes in iOS 10 you need to upgrade your Pushwoosh iOS SDK as soon as possible. 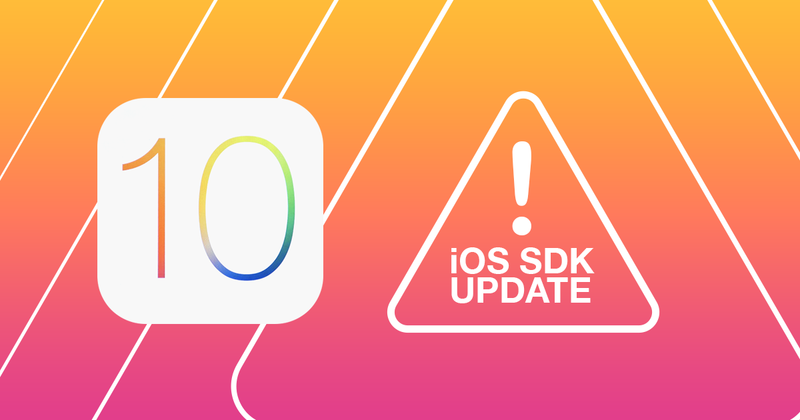 The latest version 4.1.2 of the SDK is fully compatible with iOS 10 devices. In order to exclude any discrepancies and keep your push campaigns up and running please make sure you have the latest version of Pushwoosh iOS SDK. Should you have any queries or require any further information please do not hesitate to drop us a line on help@pushwoosh.com or Contact US form.